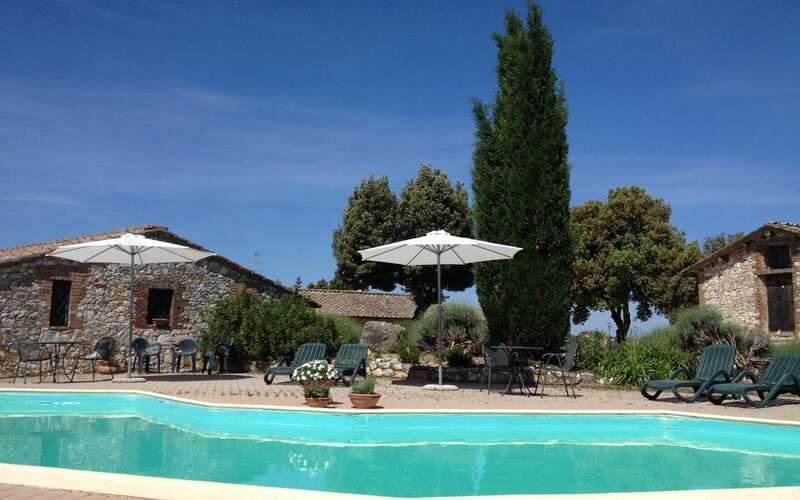 Podere La Castellina is a family run farmhouse located within the stunning Montagnola Senese national park just 20km west of Siena in Tuscany, Italy. We offer a wide range of self catering accomodation varying from private cottage to 1 and 2 bedoroom apartments. Do not hesitate to contact us for further enquiries or to book your stay. The Amorese family - Daniele and Simona with theirs sons Davide and Alessio - live on the premises throughout the year. We are always ready to give you tips on the best local restaurants or places to visit nearby, as well provide all the necessary assistance to make your stay unforgettable. Our aim is to welcome you not just as customers but as honoured guests. The history of Podere La Castellina dates back to the 13th century when it was built as a convent for the nuns of Saint Prospero, whose order is still functioning in Siena today. In 1504 the property was acquired by the Tolomei family, famous and wealthy landowners at the time, and who converted it into a farm. Throughout the centuries the property passed through the hands of several owners until being finally abandoned during the 1950’s. 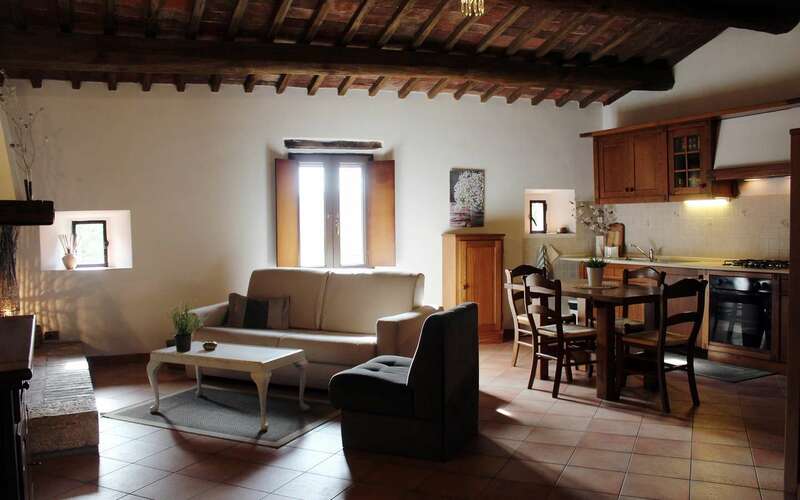 Forty years later Podere La Castellina was lovingly converted into the charming holiday farmhouse residence you see today, taking care to retain many of its original features. 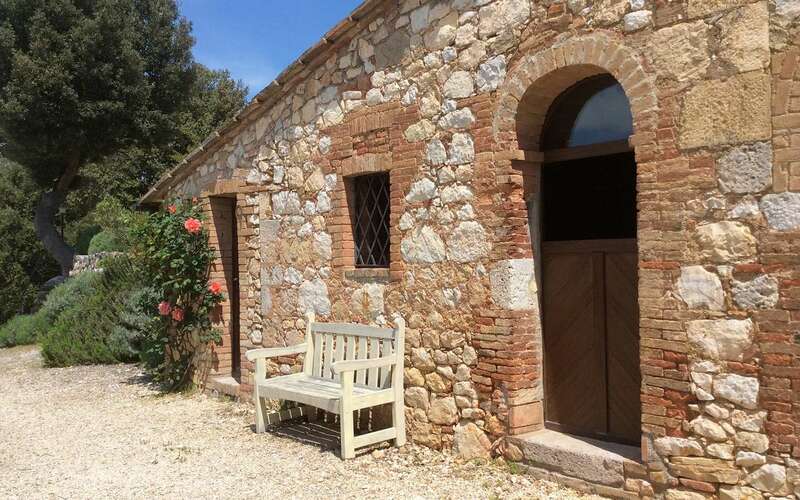 In the immediate area of Podere La Castellina you will find everything you need to make your stay unforgettable, whether it be a place to feast on the finest cuisine Tuscany has to offer, drink a glass of the local wine, visit sights off the beaten track, or simply do a bit of shopping. A great way to experience first hand the friendly local people and enjoy a truly authentic Italian holiday. 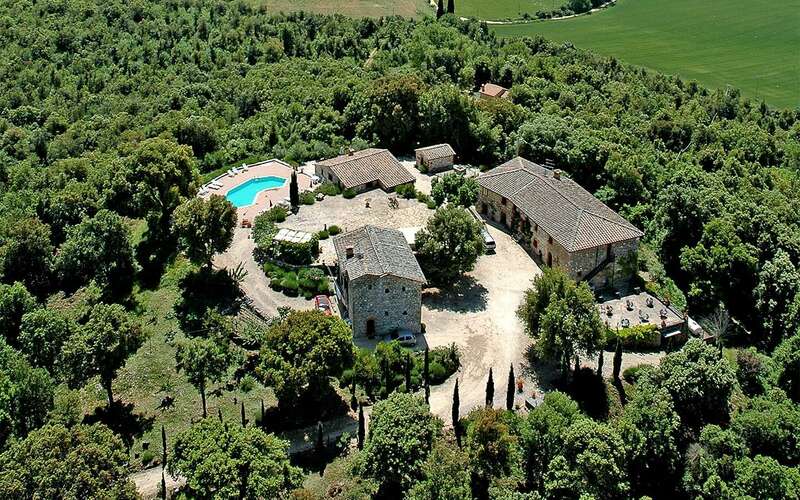 Podere La Castellina is located within the province of Siena in the heart of the Tuscany region, an area well known for its wealth of art, culture, history, cuisine and natural beauty. Siena itself is a unique, well-preserved medieval town; famous for the The Palio Horse Race that takes place twice a year in July and August. 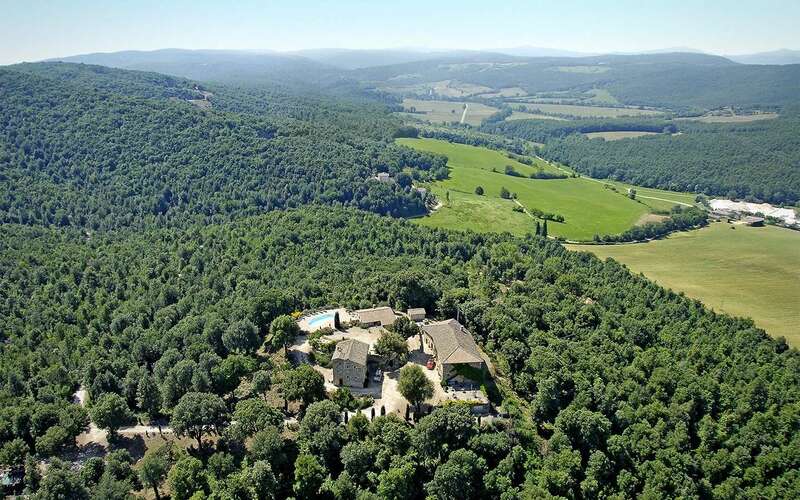 All the main tourist sites of the Tuscany region are within an easy distance.